Today let’s explore how boreal forests both are carbon sinks and help cool large areas of the planet. We’ve all seen majestic vistas of boreal forests made up of millions of evergreen trees from Siberia to Alaska into northern Canada. Unfortunately just like the Greenland ice sheets these natural air conditioners are under assault from added heat and drought from carbon pollution. The sub-Arctic is warming and changing so fast that boreal forests are having a hard time surviving. 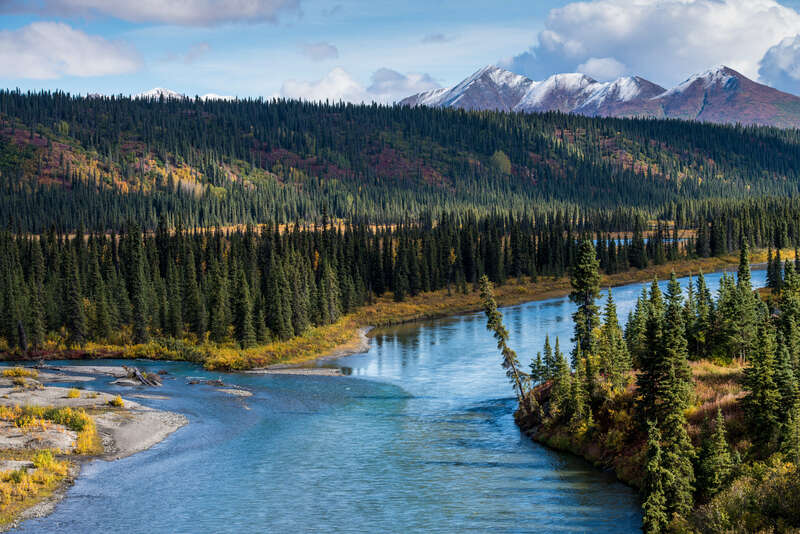 Boreal forests, which sprawl across the northernmost regions of Canada, Russia, Alaska, and Scandinavia, make up about 30% of total forest area on the planet. They play a vital role in the Earth’s climate system by sequestering carbon dioxide from the atmosphere. They are home to a plethora of plants and animals. And they provide resources including substantial amounts of wood for lumber and biofuel production, as well as economic and resource opportunities for local and indigenous people. At the same time, boreal forests are one of the ecosystems most affected by climate change, with temperatures in the arctic and boreal domains recently warming at rates as high as 0.5°C per decade, and potential future warming of 6 to 11°C over vast northern regions by 2100, according to the IPCC’s most pessimistic scenario, RCP 8.5. Since 2015 the Arctic and sub-Arctic where boreal forests reside has seen eye popping warmth. In summary, it’s this writer’s gut feeling based on scientific observation that boreal forests have crossed that “tipping point” such that most won’t survive above +1.5C above preindustrial conditions. This post still doesn’t quantify an estimate of how much planetary carbon boreal forests sink, taking away certain parts per million of CO2 from the atmospheric mix. Perhaps not enough science has been done for a good estimation. O.K. 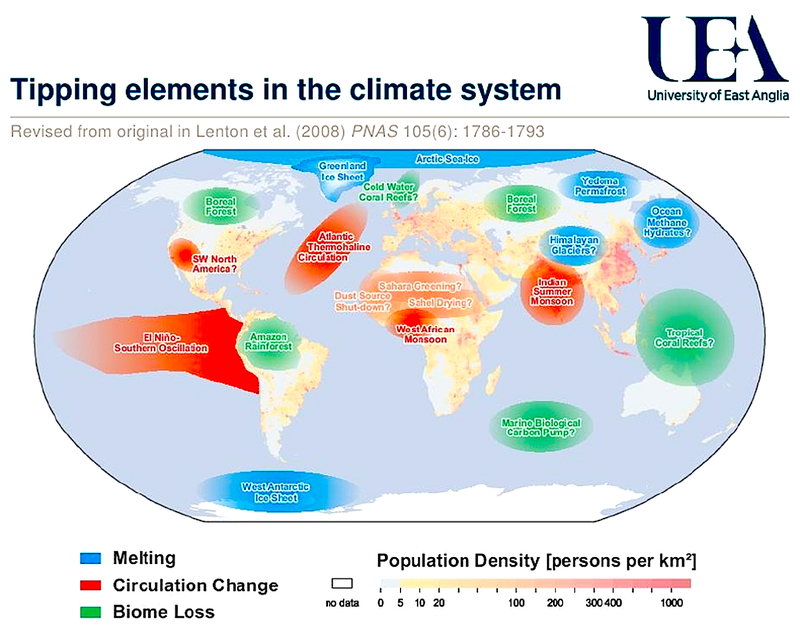 climate people. Present me with more evidence to the contrary or that which supports my assessment on boreal forests, and I’ll post it here. 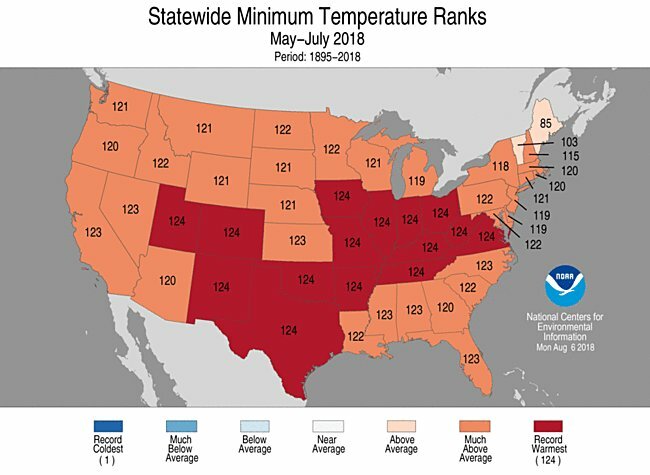 Ahead of a front near record heat will persist in Montana and spread into the Dakotas. 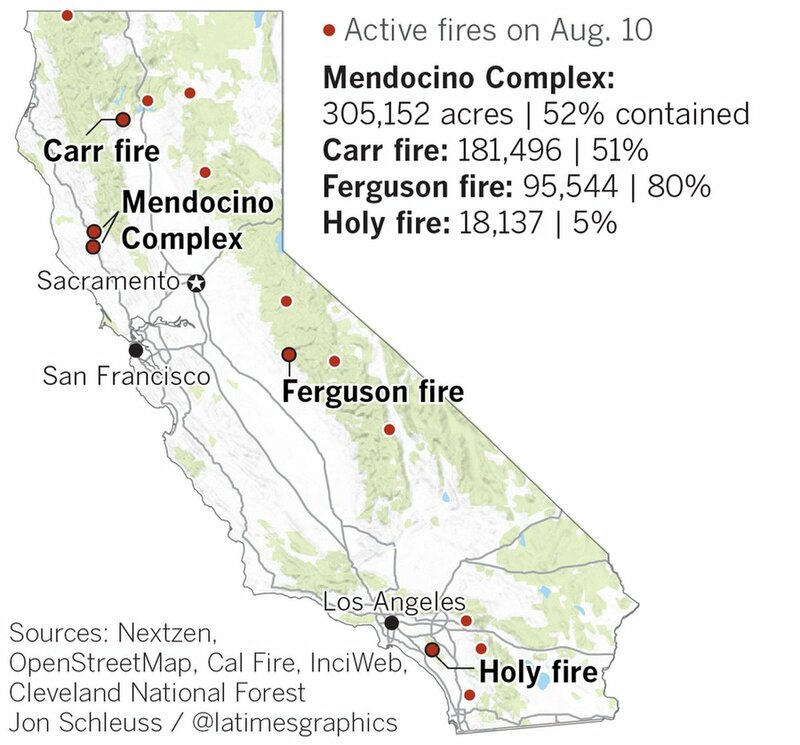 Hot temperatures will continue to hamper California’s wildfire fighting. About time, @nytimes. Better late than never. 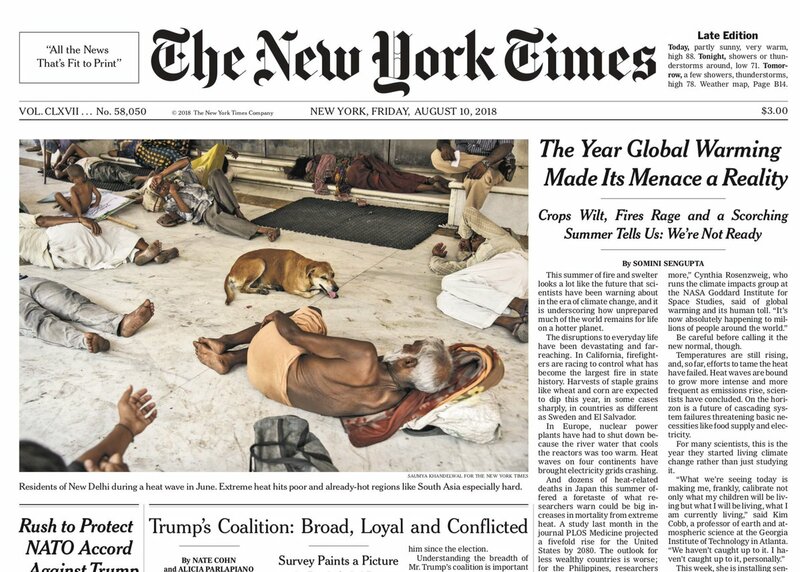 Now please continue that level of coverage, and please stop giving the climate-change-denying @BretStephensNYT his platform. How about a climate scientist instead? This is way too important to mess up. 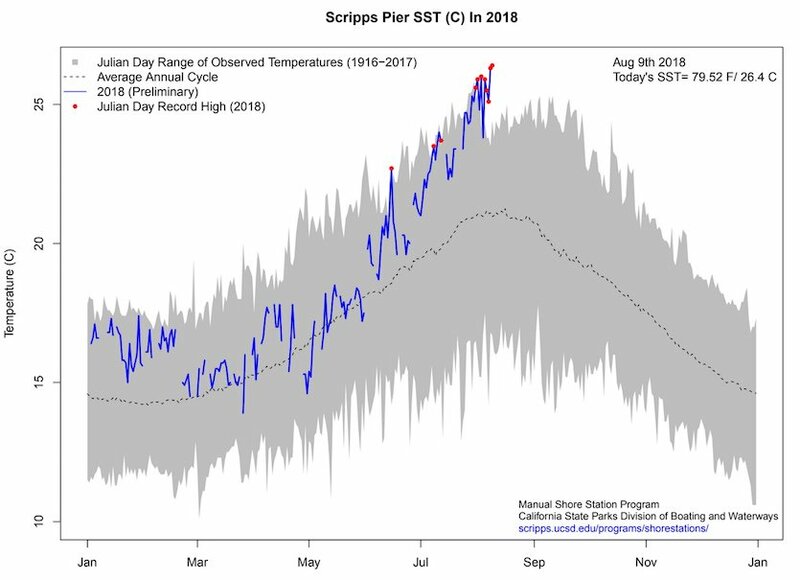 Water temperatures near 80°F on the California coast? It’s true. Well today was a banner day in #Missoula #Montana. 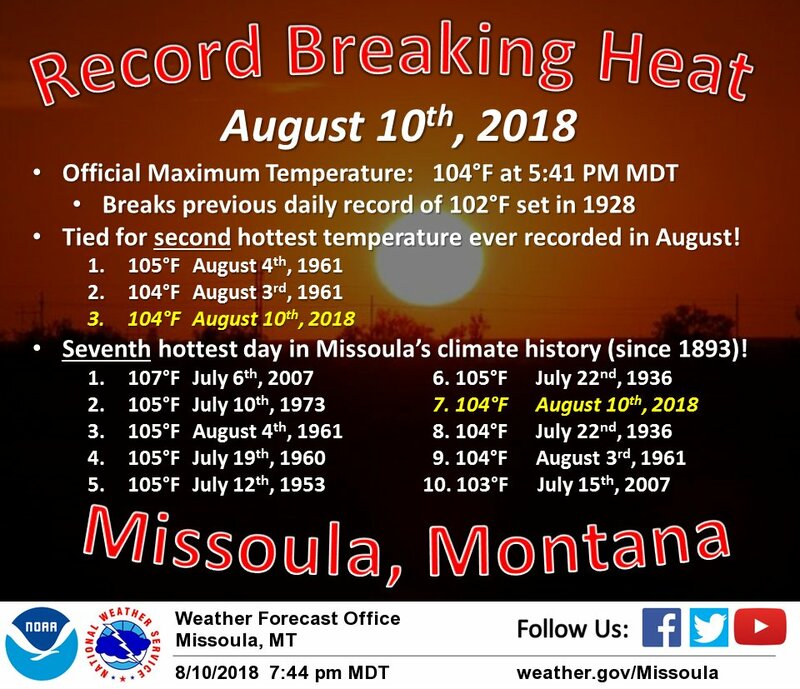 Not only did we break the daily record, but today ties as the 2nd warmest day ever in August AND the 7th hottest day in Missoula’s climate history (since 1893). 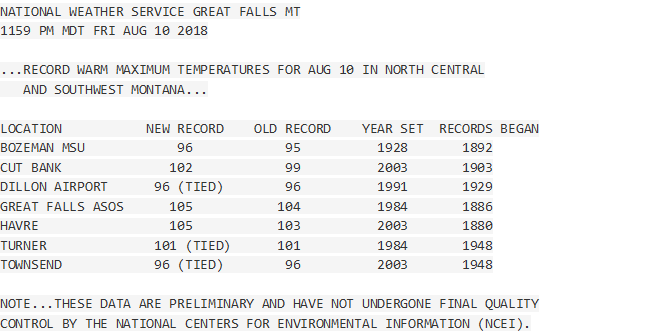 The official high temperature in #Superior #Montana (period of record since 1914) reached 105°F this afternoon, breaking today’s old record of 104°F set in 1935. 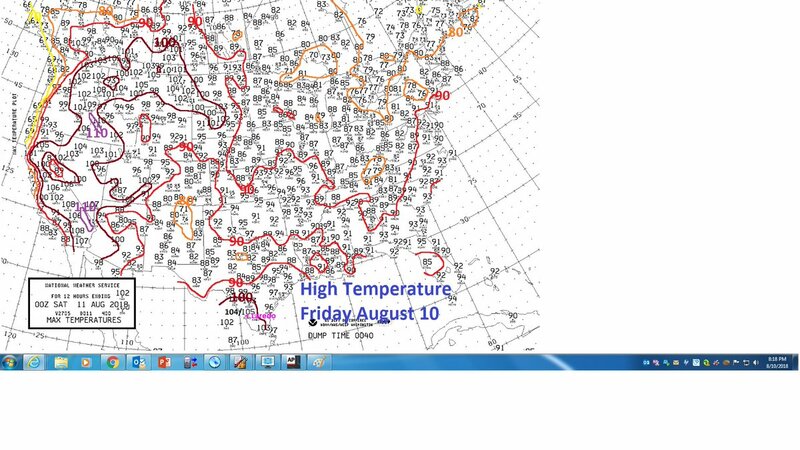 The official high temp for #Heron #Montana reached 102°F this afternoon, breaking today’s old record of 98°F set in 1928. This ties as the 10th hottest day on record for Heron since 1912. 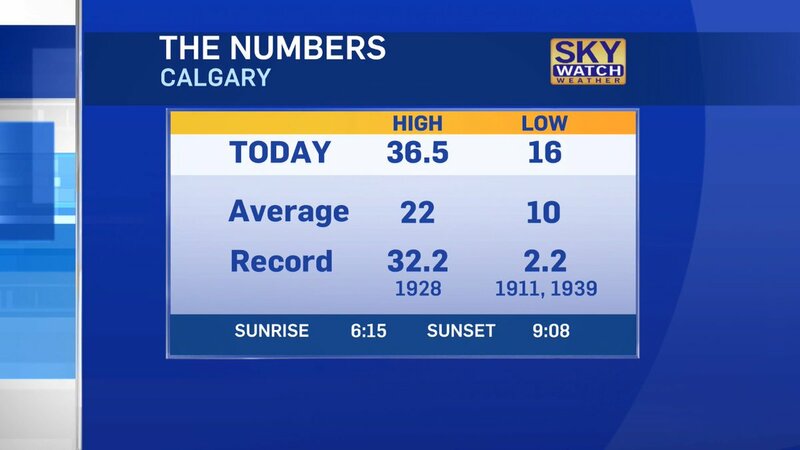 At 97.7°F, #Calgary just had its hottest day in 137 years of official recordkeeping. #brokenrecord seems apropos for this summer.